As a general guideline…aim your approaches to the middle of green, then edge your aim towards the pin until the point where your dispersion is still on green, and then fire away! Imagine how much closer you’ll hit to the flag with your new found distance using your #singlelengthirons! 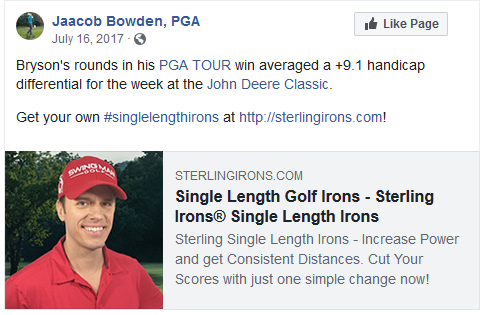 “Sterling Irons® have been a great success so far for me. I have never been able to hit 5,6 irons more confidently with good results. 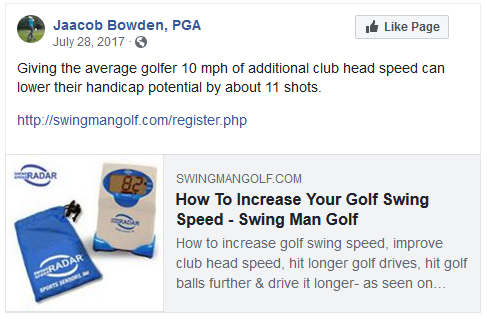 I also can play around with ball positions with PW and GW to have different distances and trajectory with one clear view in mind that the shots will never come short! “I have recently received my Sterling Irons® lob wedge to complete my set from 4I to LW. I was a little concerned about giving up my old, familiar lob wedge, but I shouldn’t have worried. 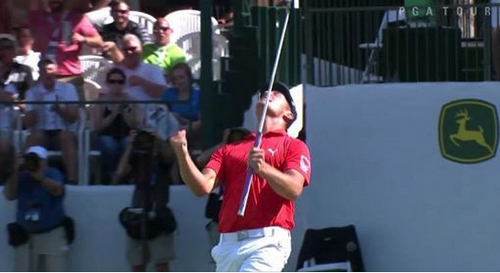 Congratulations to Bryson DeChambeau on his first PGA TOUR victory at the John Deere Classic. A big win for Bryson and a big win for #singlelengthirons! Get your set of #singlelengthirons at https://sterlingirons.com! It’s statistically easier to make birdies when you hit it close. Our #singlelengthirons can help you do that. “After a bit of a learning curve, I’m hitting the ball better than I ever have in my 25 years of playing. 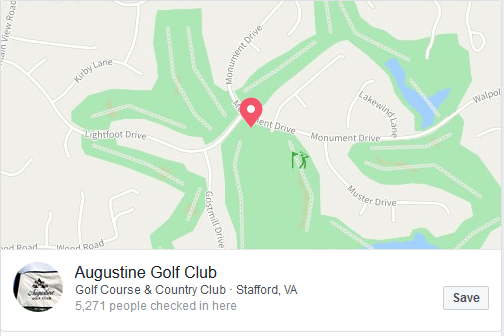 This morning I shot a 74, the low round of my life by 4 strokes. It was a ball striking 74, not a putting 74 as I took 31 putts. One of the deepest pleasures of golf for me has always been striking quality iron shots. These clubs have dramatically increased the percentage of quality iron shots I hit, which of course has also significantly increased the amount of confidence I feel standing over the ball. Gapping, distance, feel, everything about these clubs is working wonderfully for me. Won my qualifier for the Virginia State Open today. Round 1 starts next Thursday! Thanks Swing Man Golf, Sterling Irons®, and Snell Golf for the support!